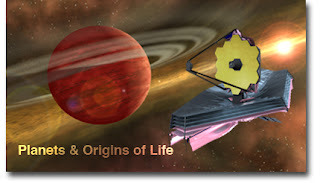 National Aeronautics and Space Administration (NASA) is building The James Webb Space Telescope (JWST) which is a large, infrared-optimized space telescope, scheduled for launch in 2013.The Telescope,will study galaxy, star and planet formation in the Universe. In order to study how the very first stars and galaxies formed in the early Universe, NASA will look ‘back in time’ and deep into space using light time to travel from the present to the past. To study the earliest star formation in the Universe, NASA will observe infrared light, using special instruments optimized to capture this part of the spectrum. How do you develop Software and Systems that will operate the James Webb Space Telescope? How do you deal with expensive and time consuming software issues ? How do you manage a multi decade project ? Apparently I don't have all answers but I just read from a press release that NASA is using IBM Rational Rose Real-time (to deal with the part of the problem ).Rational Rose Real-time, is a UML-based visual modeling development software.